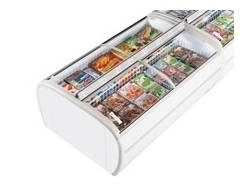 Hinged lid, commercial chest freezers are a great way to display your frozen products for your customers. 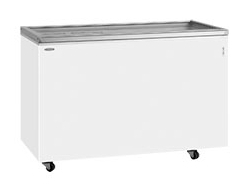 Display commercial chest freezers units are available with either flat or curved glass lids and come in different shapes and sizes to suit any business or need. 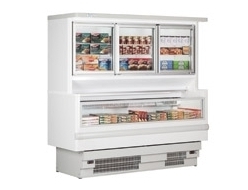 At FridgeSmart, we stock several units from the industry's biggest brands, including Arcaboa, Derby, Elcold and Tefcold. 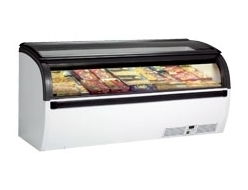 be sure to check out our stock of sliding glass lid freezers as well. 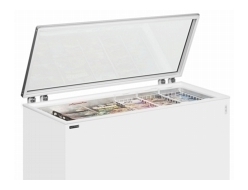 Our secure payment portal gives you extra peace of mind, while our UK-wide delivery is the quick, hassle-free option, wherever you are. 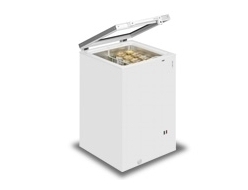 Check out our full commercial range of chest freezers below to find the one for you, or read about one of our recent installs here. Cant see what you're looking for? Get in touch using our live chat facility at the bottom right of our screen or give our expert team a call at 0115 9413640.